Of course, it is just a hunch. I have never taken any social pulse yet on the prevailing mood of the prison community with respect to the on-going investigation of the plunderers’ acts of some government officials in the disposition of the so called billion peso scam on PDAF. If indeed, the courts would determine the guilt of those accused, their entrance into the gates of prisons would literally change the entire institutional landscape. And if we are talking of institutional landscape, the maximum security camp of New Bilibid Prison is not exactly what, at this point, is considered a Peyton place for virtues and considerations; it is an enclave where a mixture of explosive and implosive characters interact no end. It is the best and the worst the world can offer at the doorstep of humanity. As a matter of fact, it is even a high ground for suspense; where every minute, every hour, every day is a complete period already. A complete minute or even a day is almost a lifetime. After a full 24 hour, it seems that a generation has already passed. As a prison administrator assigned at the National Penitentiary, a peaceful day is an accomplishment considered performed in a heroic manner. A minute of stability is an epoch for celebration. This would be the atmosphere given what at present is the situation obtaining. Unless of course, an intervention would take place. 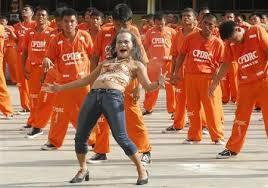 The entry of a new breed of felons would for a moment displace the usual run of men in the prison community. For sure, those convicted in drugs—and they are almost a sector— would be able to level up with those who made their lives miserable. There will be a lot of haggling and negotiations; there will be a lot of noise both in and out. Inside, the gangs would reinvent their mandate to accommodate and flex protective muscles for these new entrants. Outside, media would have a field day capturing every suspenseful minute on their newfound protagonist and how they would fare for a period. Suddenly, the prison community is back on the table to be feasted, to be watched closely. Prison administrators will once again bounce from lethargic duties to vigilant purveyors of discipline and fairness. The issue of preferential treatment like VIP considerations by inmates themselves with the entry of celebrity offenders will be noted. It will be amplified to a large extent, not by prison administration but by greater portion of the prison community. There will be a shift of partisan consideration—from the so called merchants of death to the contemporary Ali Baba and the proverbial 40 thieves! Anything excessive will be crowed and pushed to high heavens until a scandal would paralyze administration. There will be a series of changes and reorganization until finally, media runs out of news or perhaps, another scandal or earth shaking incident would eclipse the bannered prison incidents. On the reported riot in the National Penitentiary, it is again an example of media sensationalism. A simple brawl inside a small corner in a building of the maximum security camp of New Bilibid Prison turned out in the perception of media as a full scale riot of gargantuan proportion. It is good and bad. It is good so that people will appreciate the blight and damaged condition of a congested facility intended to reform offenders; and it is bad, if it would project a community of a wayward population violently expressing its wayward character. When we speak of a riot, we mean a total breakdown of discipline expressed in collective viciousness, attacking every sign of order. It is group insanity. It is pristine wilderness in the reverse. In the Philippine setting, there is just one force that can stop it: a respectable person.